These articles are some of my personal favourites. They don't necessarily fit into any of the categories below, but I feel like they deserve a special mention. Risk - This post explores attitudes to risk in Eve, and serves as something of a rallying cry for a slightly more gung ho approach to PVP. On a personal level, the events discussed in this post marked quite a major change in my own attitude, and have significantly increased my enjoyment of PVP in the time since. AAR - Ferox vs Interceptors - This was never intended as a major post, but in retrospect I think it's probably one of the more valuable things on the blog. This article examines a particularly interesting fight that I had, breaking down each decision that I made as the situation developed. The fight itself was nothing unusual, but the commentary gives some useful insight into the thought process that goes on during such an engagement, as well as how the decisions that you make can lead to a successful outcome against the odds. 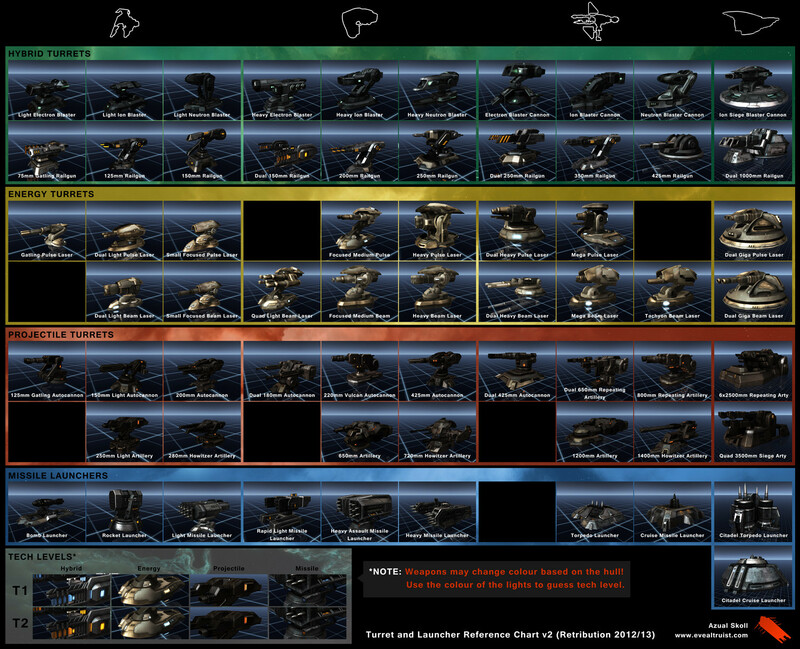 Turret and Launcher Reference Chart (Low Res / High Res) - This is a handy reference chart to help when visually identifying turrets or launchers on a hostile ship. Knowing which weapons someone is carrying can tell you a great deal about how they're fit, and how they're likely to fly. Bookmark it in your in-game browser! Know Your Enemy is my flagship series, looking at the strengths and weaknesses of every ship in Eve. You can find the full list of articles over on the Know Your Enemy page. Eve can be daunting for a new player. Whether you're engaging in PVP or simply avoiding it, these articles are designed to help newcomers get their head around the basics. Newbie Tackling Guide - tacking is a great way for newbies to get involved in a fleet. Lowsec Survival Guide - a few simple precautions to help you enjoy a lowsec lifestyle. Weapon Systems in PVP - what are the key differences between the various weapon systems? Funding Your PVP Habit - how to keep yourself in ships and modules. 5 Common PVP Myths - dispelling some of the more common misconceptions. Leading a fleet is one of the most challenging and rewarding things that you can do in Eve. These articles focus on how to be operate effectively as a fleet, whether that's as the fleet commander or otherwise. Intelligence & Counter-Intelligence (Part 1) - keeping yourself informed at all times. Intelligence & Counter-Intelligence (Part 2) - using misdirection to influence your opponent. Fleet Comms in PVP - effective communication can make or break your fleet. FCing - The Soft Side - guest article by Christina Bamar, CEO of Agony Unleashed. Threat Assessment - what makes a good primary target? A well configured client can help keep you informed and speed up your reaction time in those critical moments. Overview Setup for PVP - one of the first things any new PVPer should do. Screen Layouts for PVP - how to arrange your windows for maximum efficiency. Key Bindings and Module Layouts - less clicking, more shooting! Whether it's avoiding gatecamps or simply getting out of station, these articles cover the useful skills and techniques that will help you to stay alive in a hostile environment. Nullsec Survival - Bubble Avoidance - a critical skill for anyone operating in hostile nullsec. The Directional Scanner in PVP - an essential tool for any PVPer. Bookmarks and You - never roam without bookmarks! Undock Punting - how to get people out of a camped station. Dock Bookmarks - how to guarantee you land in range when docking. Cap Dumping - can't get within scan range of a gate? Problem solved! How to move a Capital Ship - don't be a capital killmail, learn how to do it right! Figuring out how Eve works can be quite a challenge. These articles shed some light on the nuts and bolts of Eve. Tracking and Spiralling (video) - how turrets work, and how not to get hit by them. The Truth About Signature Resolution - a closer look at turret mechanics. Damage Types in PVP - what flavour of damage do different guns put out? Bubble Mechanics - how do bubbles work, and when will they catch you? Drone Damage vs Frigates - which drones perform best against small targets, and why? A Signature Resolution - how important is a gun's signature resolution? With Science! Sometimes it isn't what you do, but how you do it. 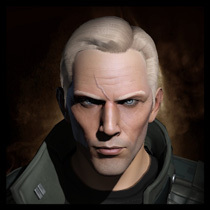 In this section you'll find articles discussing specific tactics, both for solo and fleet PVP. The Art of Interceptor Fishing - solo PVP in T1 Frigates (my first article)! The Dark Art of Dictoring - light Interdictor tactics. Skirmish Interceptors (Part 1) (Part 2) - using Interceptors to scout and tackle. The Rise of the Afterburner - speed/signature tanking. The Hydra Principle - EWAR-heavy frigate fleets to take on larger targets. The TWEED gang - an Agony gang format for close range HACs. These are articles which do not fall under any of the headings above, but which I like enough to include here!